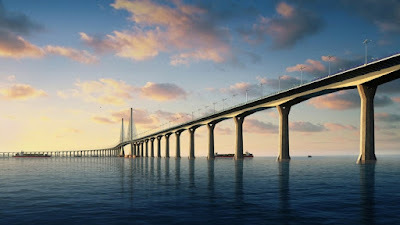 Following yesterday's blog post about how the Hong Kong government isn't doing enough for its own poverty-stricken residents, it will have to spend another HK$11.8 billion on the Hong Kong-Macau-Zhuhai bridge. The main section of the project, a 22.9km bridge and 6.7km undersea tunnel is situated in mainland waters. 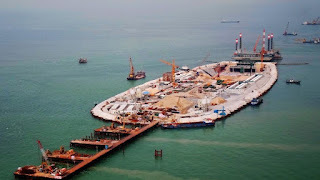 The Hong Kong government has to ask the Legislative Council for more money because a 2008 document says Hong Kong would pay for 50.2 percent of the 31 billion yuan cost of the main bridge, while the mainland would shell out 35.1 percent, and Macau 14.7 percent. How it got to those uneven percentages is strange, but there you have it, and Hong Kong has to bear the vast majority of the cost. Will we be using it 50.1 percent of the time too? Lawmakers have told the government to give a detailed explanation and be prepared for lots of questions. In February and October the Transport and Housing Bureau told lawmakers that the bridge would cost more than expected due to an "increase in labour and material costs as well as the refinement of the design and construction schemes". However an exact amount -- HK$11.8 billion -- wasn't disclosed until yesterday. Frankie Yick Chi-ming, chairman of Legco's transport panel, said there would be "lots of questions" from legislators when the government applies for more funding for the bridge. "The key question I have is if 10 billion [yuan] is the final number," he said. 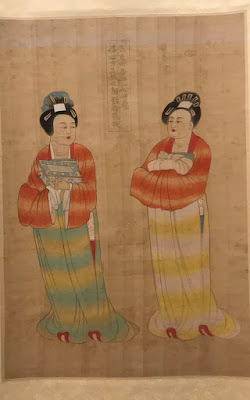 Financial Secretary Paul Chan Mo-po is in Beijing and he admitted he didn't know yet how much of the budget overrun Hong Kong had to bear, but would be calculated according to "an established mechanism" as agreed by all sides when the agreement was signed. 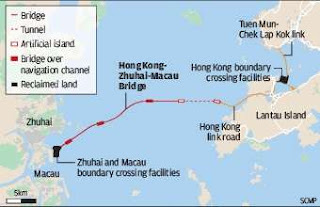 So a huge infrastructure project that gives Hong Kong an opportunity to kowtow to Beijing that is costing billions in extra cost is worth more than trying to help the poor get a leg-up in society.